Calling all my fellow liquid lipstick lovers! 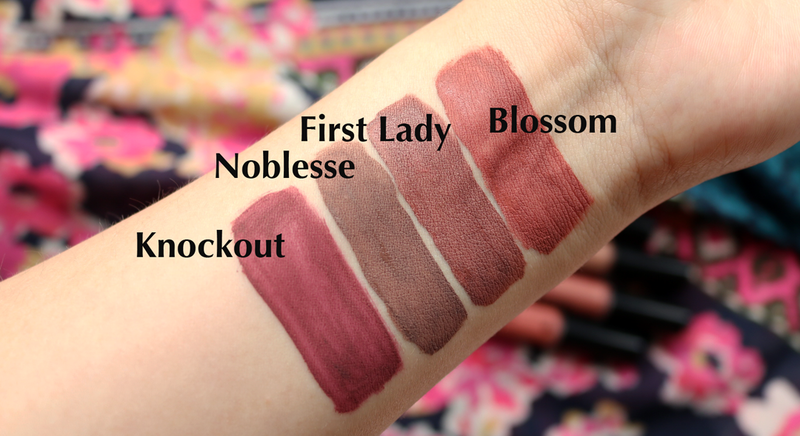 If you haven't tried these Timeless Kissproof Lipsticks from Lord & Berry, you need to! It's always exciting to receive #bloggermail of any kind, but it's even more exciting when you get a package of matte liquid lipsticks in a range of interesting, on-trend shades. This parcel of joy arrived from Lord & Berry a couple of weeks ago and I've been having a lot of fun experimenting with these colours. These Timeless Kissproof Lipsticks have a fantastic matte liquid lipstick formula that dries quickly and feels comfortable and velvety on the lips. The pigmentation is pretty insane and you only need one coat to achieve a truly opaque finish (bar the shade Knockout which is a little trickier, but I'll come to that later). Each one has an angled doe-foot sponge applicator which makes applying them much easier than some of the other similar liquid lipsticks that I have in my makeup stash, and once they're on, they really do stay on! The first time that I swatched these on my arm, I had to really scrub at them with a range of different makeup removers to get them off - they would not budge at all, and I'm happy to say that these are incredibly long lasting on the lips too. I can eat and drink and they won't smudge or fade for about 8-9 hours, plus they live up to their Kissproof name as they don't transfer onto anything. I highly recommend using an oil based makeup remover to take these off at the end of the day. Knockout was the most difficult of these four shades to work with and apply as the colour was a little uneven with just one coat, so it required another coat on top once the initial layer had dried down. Being a deep berry-red shade, it does have a tendency to bleed around the edges as you can see above, so you will need a good quality lip liner with this one. 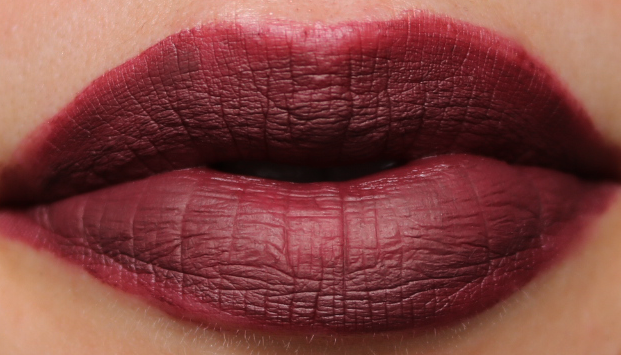 That said, this is a gorgeous shade and with a little extra effort, it's a great vampy lip colour for an evening out and one that will last all night long. 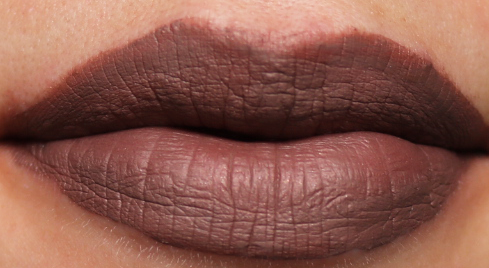 If you're after an on-trend, darker brown liquid lipstick, Noblesse is the perfect shade to pick up. It pulls a lot darker than I was expecting on my lips as it looks lighter in the tube, but I've been warming to it as I don't own many shades like this in my makeup collection. This is a good one to go for is you want to try a darker lip but aren't a fan of the more vampy shades above, or simply want to try something different. 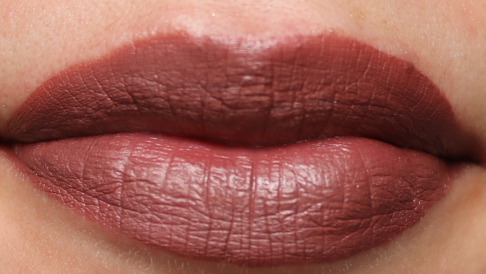 Want to try a 90s-esque lip, but don't want to go as dark brown as Nobelesse? Choose First Lady instead. This warm-toned, reddy-brown is incredibly flattering on and has just the right amount of attitude and grungey vibes to it, without being too in your face. I've been getting a lot of wear out of this one and it's been receiving a lot of compliments! Applies smoothly in just one coat. 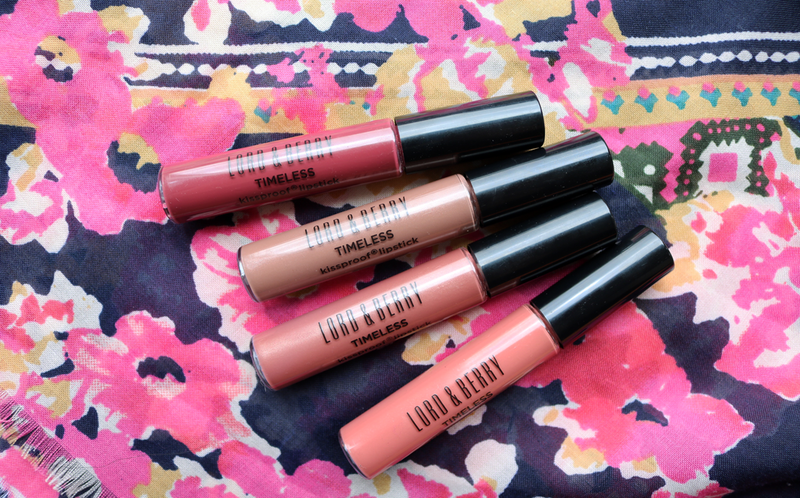 Blossom is my favourite shade out of these, simply because it's so easy to wear and goes with pretty much everything. It's the perfect neutral pink with a tiny hint of coral brightness to it. 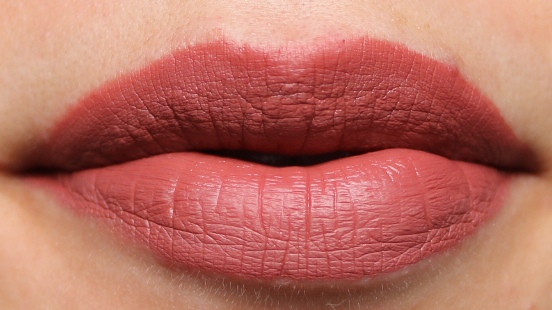 I can't get enough of this colour and it's been my current go-to lipstick for much of the past month! 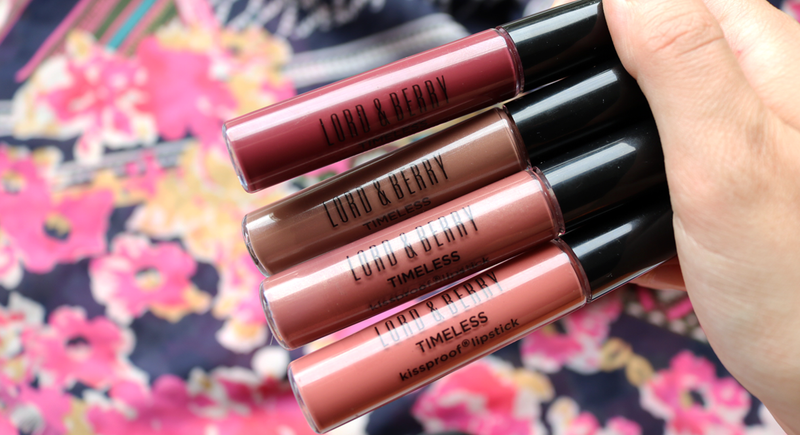 If you're a fan of Kat Von D's Everlasting Liquid Lipsticks, these Timeless Kissproof Lipsticks from Lord & Berry will be right up your street as they're very similar and just as gorgeous!